Q How do you measure height and width for this fixture and is the chain length included? 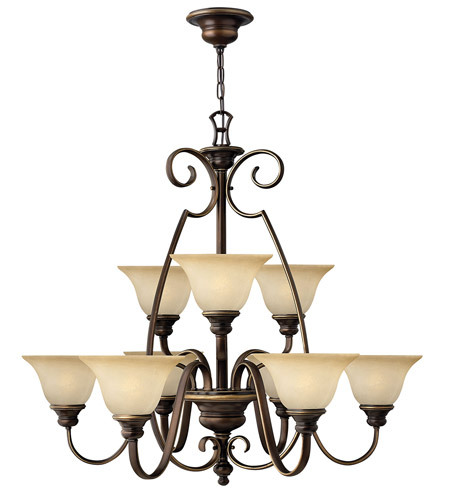 A The Hinkley Lighting Cello 9 Light Chandelier 4568AT has a 32.5" height not including any length of chain or the canopy. This fixture has a width of 35.75" measuring from one side of the fixture to the other.